Install the application "iOffline Cleaner" application attached below this article. Run the iOffline cleaner application. In Windows 8, click on the Control Panel app in the Windows 8 Start Screen. Then scroll to the bottom and click on the More Settings option. 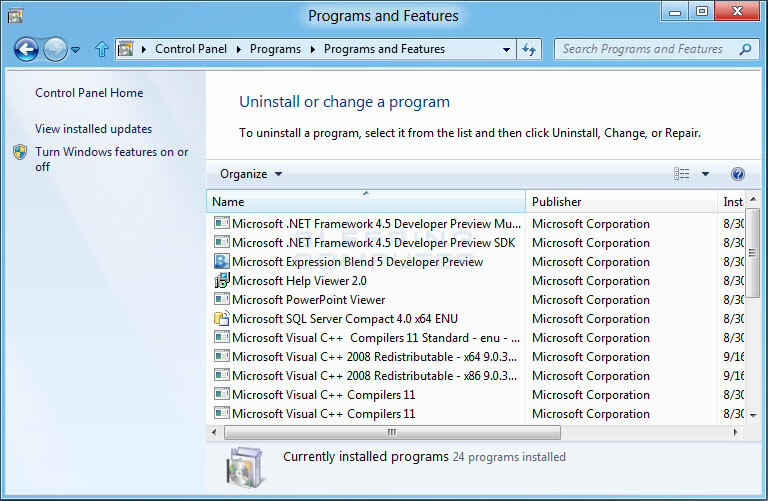 When the Control Panel window opens click on the Uninstall a program option option under the Programs category. This option is shown by the arrow in the image below. If you are using the Classic View of the Control Panel, then you would double-click on the Programs and Features icon instead. Look through the list of programs for iOffline and then left-click on it once so that it becomes highlighted. Once you highlight iOffline you will see two new options next to the Organize and View button called Uninstall and Change. To uninstall iOffline, click on the Uninstall button. Once you click on the uninstall button you will be presented with a confirmation asking if you would like to continue . For those who like shortcuts, you could just double-click on an entry to start this process as well. 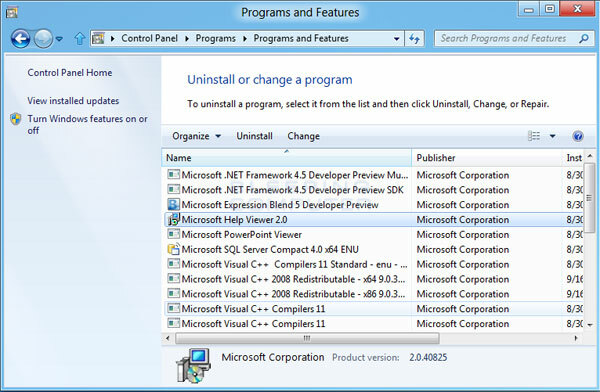 For some programs when choose to uninstall it, Windows may prompt you with a message stating Windows needs your permission to continue. At this screen you should click on the Continue button.